An ambush who will beat WeChat? LBS and Chat tool "MoMo" already got over 100 million registered users. "MoMo" is an instant messenger apps that have the feature of closely linked with LBS function. According to the news, that "MoMo" already got the more than 100 million users. "MoMo" started their service from Aug 2011, so it means that it took around 30 months to exceed 100 million users. 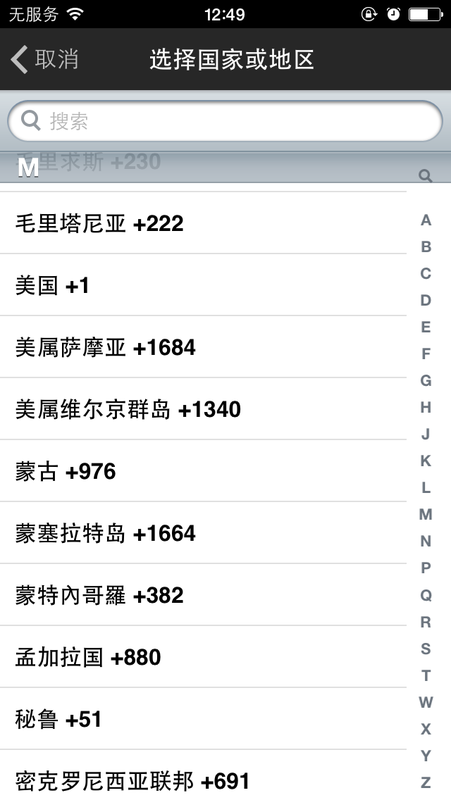 It took the time about twice than WeChat, but it is the fact that it's valuable thing to get the 100 million users. And the news also said that the active users of "MoMo" was 40 million people, and the registered users increase 1 million people each in every month. And it seems that their business performance side is also satisfactory, they already got the second round investment on Oct 2012, and it is estimated that their enterprise value is about 100 million USD. It's the first time that I explain about this "MoMo", so I would like to introduce briefly the summary of its function. 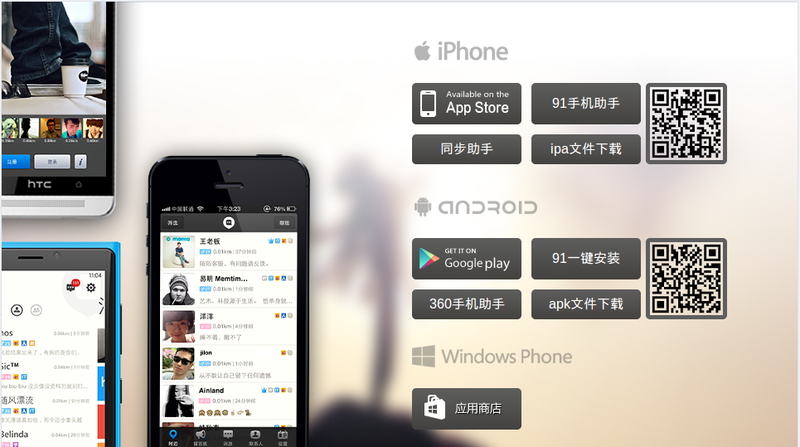 It seems that MoMo provides the service to Android, iPhone and Windows phone users now. 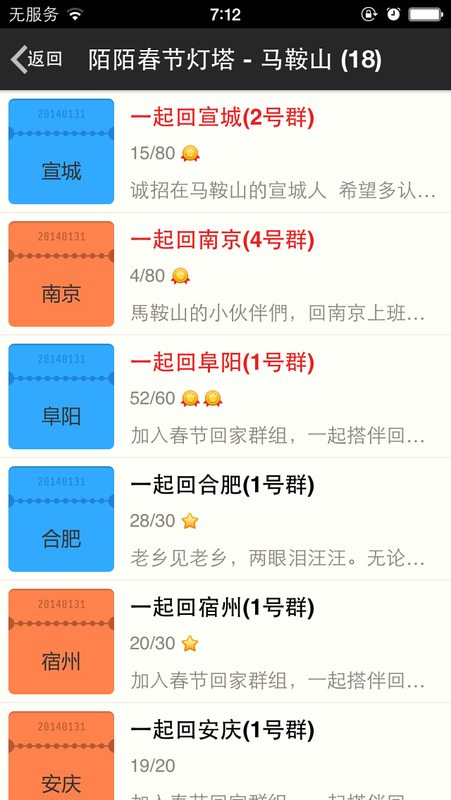 As I said above, the greatest feature of "MoMo" is the linkage with LBS functions, so the top page is the "people nearby" function that is similar with WeChat has. 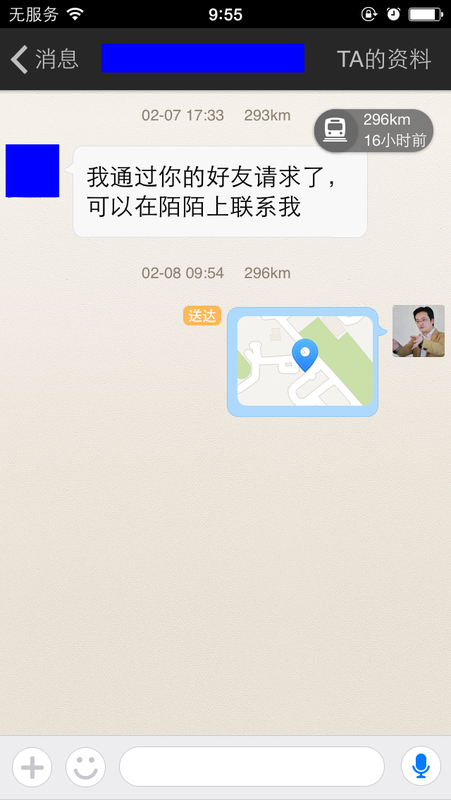 And on the chat page, the user can directly send the location information to other users. Of course, the user can send the text message, and also can send the pictures, emotion icon and so forth as same as WeChat. And MoMo also has a lot of other functions that closely linked with the LBS function. 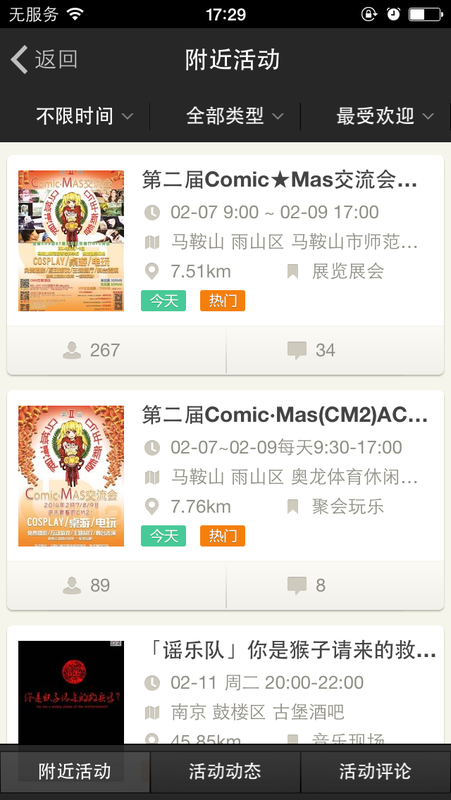 For example, it is the nearby event information, the group function of going to the same hometown and so forth. 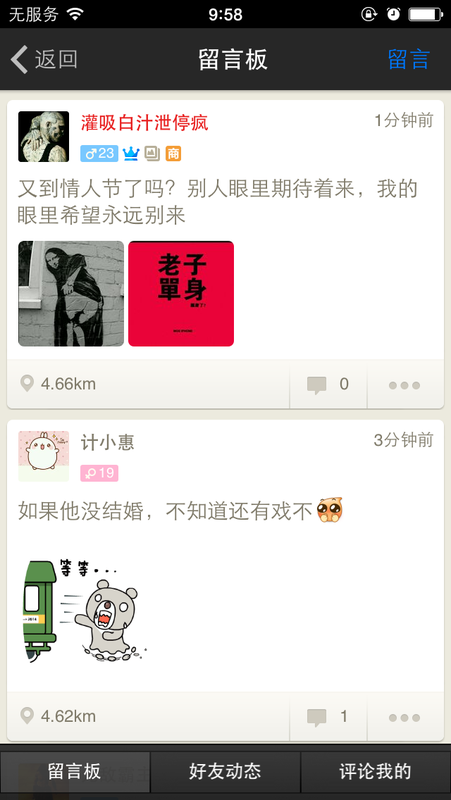 MoMo also have the social function like the "Moments" on WeChat. Last time, I said that WeChat belongs the "social media service that directed inward". But it seems that this "MoMo" also has the elements of "social media service that directed outward". 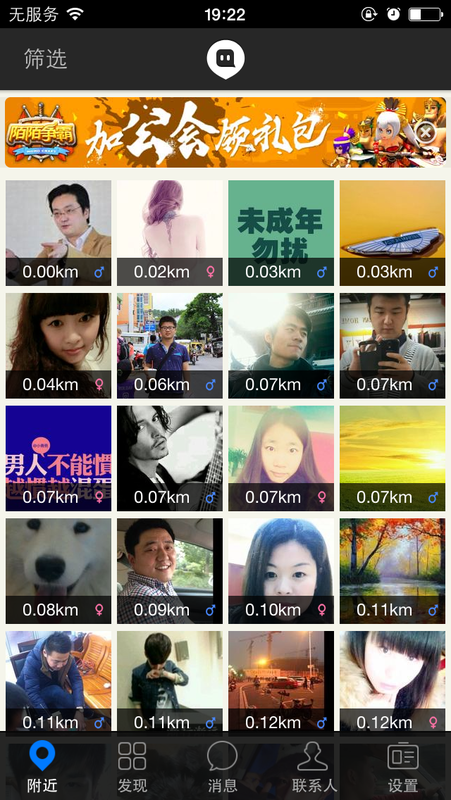 As the competitor of WeChat, I have introduced Yixin or Laiwang on this blog. But Yixin said that their target is to get the 100 million registered users after 6 months later when their service started. But there is no official announcement about this till now. And about Laiwang, they said that their target is to get the 100 million registered users till the end of 2014. 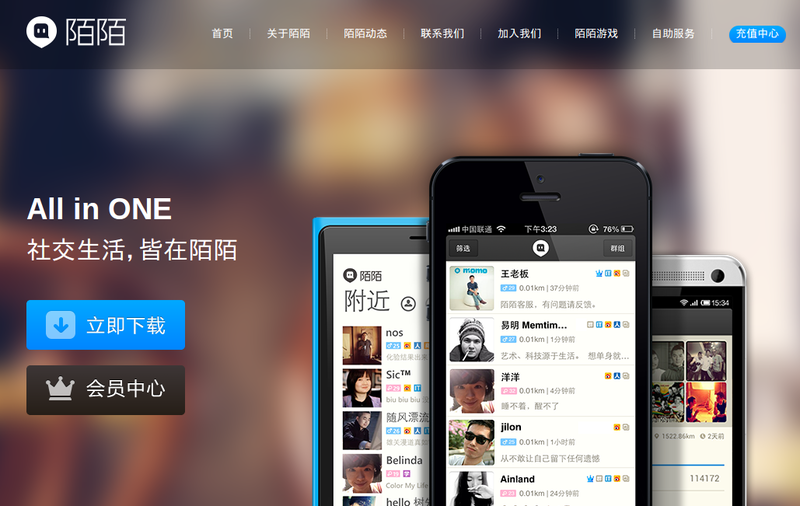 As far as looking this situation, it may be also said that the greatest rival of WeChat is this "MoMo" at this stage. I would like to keep more attention to this "MoMo" from now on. Well, this "MoMo" can be registered from out of China too. * Unfortunately, it seems that "MoMo" does not support the language besides Chinese at this stage.